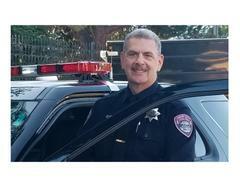 Help UCPD support breast cancer research, treatment, and education. The goal of this project is to raise awareness about the fight against breast cancer and to support breast cancer research organizations in combating this devastating disease. This campaign also raises funds to further the research, treatment, and care of those who are battling and have battled breast cancer. During the month of October, members of our police department will wear pink shoulder patches on their uniforms in support of this effort and to stimulate awareness and conversations. Pick up your patch at the front counter of the Police Department. At $10 each, these patches also make great gifts! We are especially thankful for the great support received from West Coast Cleaners for making sure that all of our police personnel transitioned to these pink patches seamlessly our first year in 2017, to UCPD police personnel, to UCPD POA (our first sponsors) and to all of our individual supporters.